If you've browsed the high-end section at a wine cellar, you may have noticed labels that say "no added sulfites." That designation may not mean much to you, but to a small portion of the population, it means the difference between a relaxing glass of wine and a possible trip to the emergency room. The "sulfites" on the label refer partly to sodium sulfite, a food and beverage preservative that was widely used in the first half of the 20th century, until a rash of adverse reactions prompted new regulation. Sulfites are food additives that help preserve freshness. Sodium sulfites in particular were commonly added to fresh produce and meats to help retain color until reactions of varying severity began arising, prompting the U.S. Food and Drug Administration, or FDA, to take action. After a lengthy investigation into the possible health risks of sulfites, the FDA restricted their use in 1986, disallowing their use in fresh produce or foods containing vitamin B-1, which is destroyed by sulfites. The only exception to the rule is pre-cut potatoes, for which no suitable substitute preservative has been found. Producers of foods containing sulfites are, however, required to declare the presence of sulfites in quantities greater than 10 parts per million on the label. Sulfite sensitivities can manifest in symptoms as mild as a headache or as severe as anaphylactic shock, and they can occur within 15 to 30 minutes after ingestion. Most reactions are mild, resulting in wheezing or respiratory irritation, but severe symptoms can include a narrowing of the airways and difficulty breathing, and emergency treatment may be required. Most reactions are of a respiratory nature, but symptoms of nausea, diarrhea and abdominal pain have also been reported. A 1985 paper in the "Canadian Medical Association Journal" also reports that deaths in both Canada and the United States have been linked with sulfite exposure, although the mechanism by which they occurred is unclear. Most sulfite reactions occur in people with asthma, according to a 1995 study in the "Journal of the American College of Nutrition." Reactions in people without asthma are "extremely rare." Most reactions occur in female asthmatics, and small children are rarely affected. Respiratory effects can also occur in workers who handle the sulfite during production, as they inhale sulfite dust. These workers are also at risk of skin irritation through contact with the concentrated chemical. Proper ventilation, protective clothing and workplace safety practices prevent most reactions in workers, but complete avoidance is the only thing that can prevent reactions in people with sulfite sensitivities. Always read food labels to make sure the food is free of sulfites -- if the food item is sold in bulk, ask the seller to check the stock package for sulfite listings. Pay special attention to dried fruits and wines -- these are the most common foods preserved with sulfites. Asthmatics should always have their inhalers at hand when at restaurants. Because sulfites are still used on cut potatoes, don't order french fries or hash browns. A baked potato is a safer option, because it isn't cut until after cooking, eliminating the need for a sodium sulfite preservative. University of Florida IFAS Extension; Sulfites: Separating Fact From Fiction; Paul Grotheer, et al. 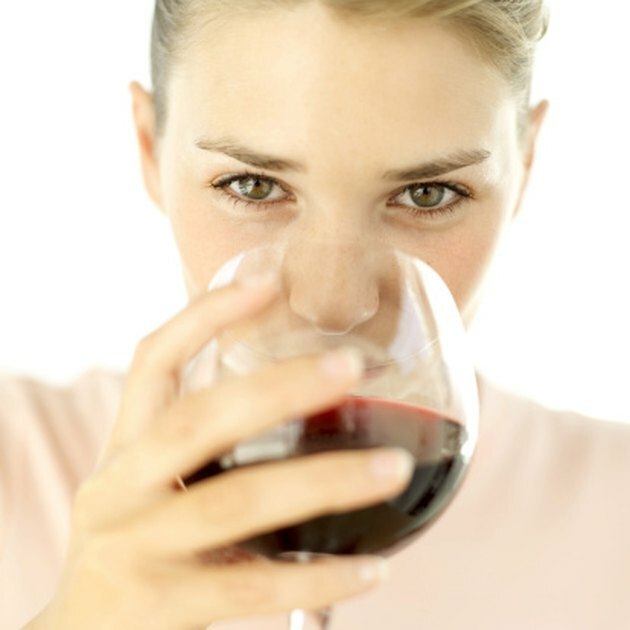 Are Sulfites Good for Your Health?